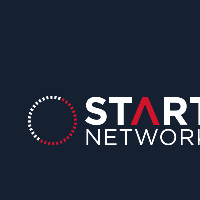 Paul Currion discusses the risks and challenges of Start Network’s blockchain project. The Start Network Blockchain project was launched at the Start for Change event in May 2016. A workshop was held with around 20 participants, who were briefed on the platform by Consensus Systems and the Start Network team. An open discussion explored the opportunities for this new technology and this project in particular, including greater transparency and accountability around decisions regarding funding for crisis response. One of the critical requirements with any new technology is to understand the opportunities and risks they create. The workshop participants therefore focused on identifying their key concerns, and to place these in a risk matrix. The risk matrix was important for the development team in order to understand the concerns of end users. A risk matrix is a highly subjective exercise, but it will help the development team in planning next steps and carrying out due diligence. Despite a solid briefing from the presenters, some participants still felt that they did not understand the technology, and that a lot of people are unaware of the potential benefits simply because they find it difficult to see beyond the technology jargon. The ability to comprehend the full implications of the technology might not exist widely within member organisations, which will reduce the level of buy-in. Security: Potential security risks to staff and (more importantly) beneficiaries might be created by making data available around e.g. operational locations and projects. Status: Increased transparency poses a threat to the intermediary status of INGOs, particularly related to finance - audit, contracts, donor relations, etc.It’s important to note that this threat was not necessarily seen as a bad thing by many participants! Technical: Our IT departments may not be happy introducing a new untested technology, particularly one with implications for data protection, particularly if they do not have the expertise to fully understand and support it. Political: CEOs and Board members of our members may pose obstacles to new ways of working, particularly those coming from the humanitarian units, rather than from development practitioners. Legal: There were doubts whether blockchain-based services would be “allowed” by national governments, although it was not clear what this referred to specifically. As a result of this lack of buy-in, there may be difficulty in securing resources (particularly funding) in time to take this project to scale. Blockchain developers are currently in short supply, so the costs of finding and working with them may be so high that it limits the gains made from the technology itself. This is relevant because there is likely to be slow uptake of this technology in the sector – one participant predicted it would be years before blockchain was applied to cash transfers – and without early success, agencies are unlikely to follow up. One participant pointed out that blockchain might be applied in multiple fields, with different rates of progress in different fields, which could mean a very high engagement requirement for Start Network members. The question of who will set the criteria for each transaction, and whether those people would be open to corruption was raised. A related question of whether the system itself would be at risk of being gamed (described as “blackmail”) was also asked. Addressing and managing these fears is essential, particularly in the early stages. Two participants were concerned that the platform might reduce the amount of human interaction (i.e. debate and discussion), creating more efficient funding discussions at the expense of critical relationship building between members. Conversely, one participant worried that the technology might complicate the process rather than simplifying it. There were of course some basic technical questions – such as whether the platform deal with transactions that must be completed immediately – and, given the lack of technical capacity within members, any due diligence around the technology will need to be carried out by Start core team, rather than by members themselves. This last point is absolutely critical. Some of these concerns have been highlighted in the last week by the disruption of a high-profile blockchain project called the DAO. Due diligence to manage the risks identified by members is therefore a high priority for the Start team. Read more about the Start Network Blockchain project. As well as expanding our risk mitigation strategy, our next steps will be a simulation exercise in July, a live test in August. As well as building links with other organisations working on similar projects, we also plan to hold a webinar for external stakeholders in the coming months.